JOIN US! Words on Wheels will be at the Vista Woman's Expo and Health Fair to provide information about our organization, volunteer opportunities, and to provide helpful tips about reading to your child. In addition to promoting our non-profit organization, we are promoting early literacy for children. 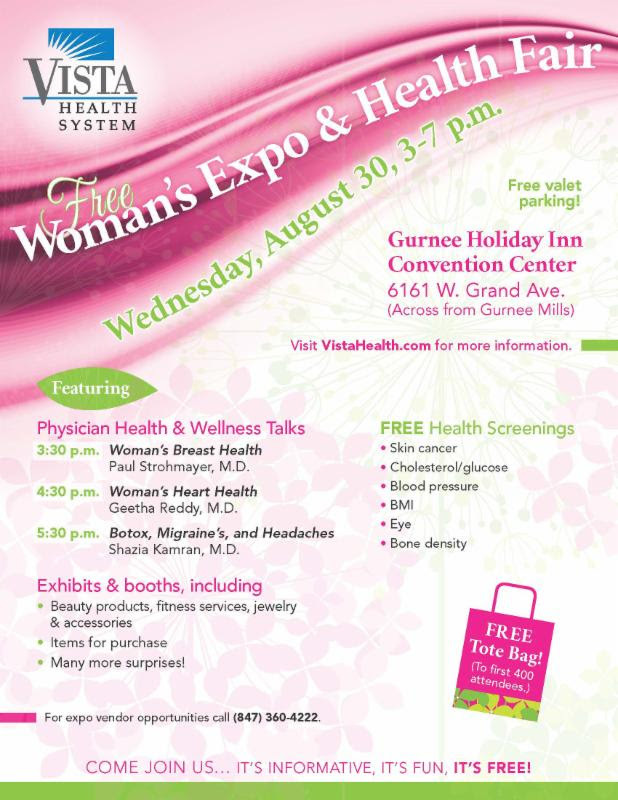 Vista Health System will have health screenings, guest speakers, and other vendors at this fair. Visit our table! We will have a raffle for a prize.